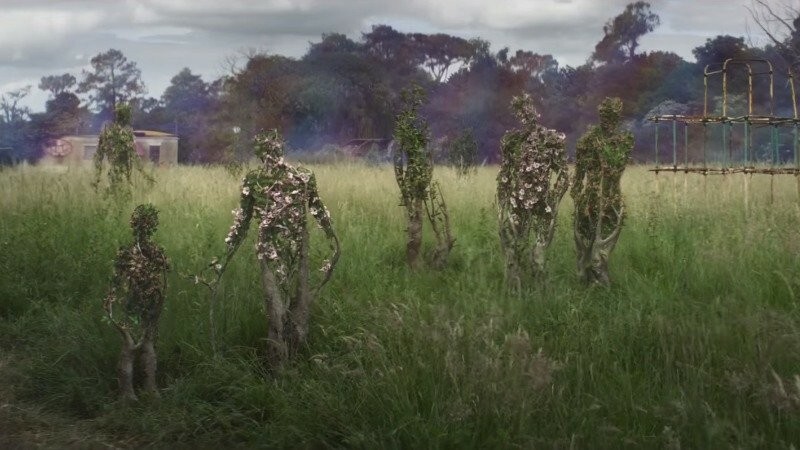 As someone with no understanding beyond basic biology I found Annihilation to be an interesting adventure into the fantastical possibilities of nature. Lena – played by Natalie Portman – is a biology professor at a prestigious university. Tessa Thompson, Jennifer Jason Leigh, Gina Rodriguez, and Tuva Novotny also star as members of the top-secret team she’s on that takes a mission so dangerous it’s almost certain they won’t make it back alive. Annihilation is split into three chapters: Area X, The Shimmer, and The Lighthouse. The premise of Annihilation is that there’s a lighthouse on the coast which seems to be the base for an ever-expanding Shimmer. It’s unclear what the Shimmer is, how and why it grows, and what’s happening inside of this area – hence, the missions. The creators made a point to note that this team is all women – as if our eyes were deceiving us – which I found to be annoying (and a clear indication it was written by a dude) but it was brief so I quickly returned to enjoying the film. We begin to learn about the team members and what inspired them to agree and/or join this mission. As the team encounters the camps of the prior mission they concede that there appear to be two ways this ends: something in the Shimmer kills them or they kill each other. There’s something I really don’t like about Lena’s character. It’s revealed that she’s joined the mission due to guilt that she’s cheated on her husband when he was on a mysterious year-long mission that she’s gotten no word from him on. In some sense I guess she feels that she owes her husband a favor for this infidelity. But I don’t buy it. I’m not sure if it’s because it feels like something that would naturally occur if you haven’t heard from your partner in a year and have no idea if they are dead or alive. Or maybe it’s because she knows the mission could very well end in death and she’s willing to die for the infidelity? The reasoning Ventura (Leigh) provides for going makes the most sense to me – she has an incurable medical condition so either way she dies but at least joining this mission there’s the possibility that she leaves a legacy and helps Earth. Josie (Thompson) feels like the hippie of the bunch. She’s intrigued by the Shimmer and how it affects the genetic mutations of plants, animals, and fungi. But she also doesn’t seem to know what she wants overall. Anya (Rodriguez) is totally freaked out by what’s occurring which I understand. There are crazy creatures, you see a man’s intestines moving inside his body, plus if you know you might die but have no idea how or what I’m sure there’s a level of panic and paranoia one would feel in this situation. I didn’t feel that much was revealed about Cass (Novotny). This makes sense for what happens to her character. This third act is very creative and I’m not really sure how to explain it beyond that without sounding like a crazy. I think this act is what defines who will and who won’t come out of this filming thinking it’s great. I, personally, found it interesting because it’s different than what we typically see in a sci-fi film. It felt like an authentic independent film which is strange because the budget was 40 million. But even the way the VFX of the Shimmer looked felt like an indie project to me. I thought Annihilation was a great film. I’m sure I missed some details the first time around and would be interested to see what I pick up after a second screening.